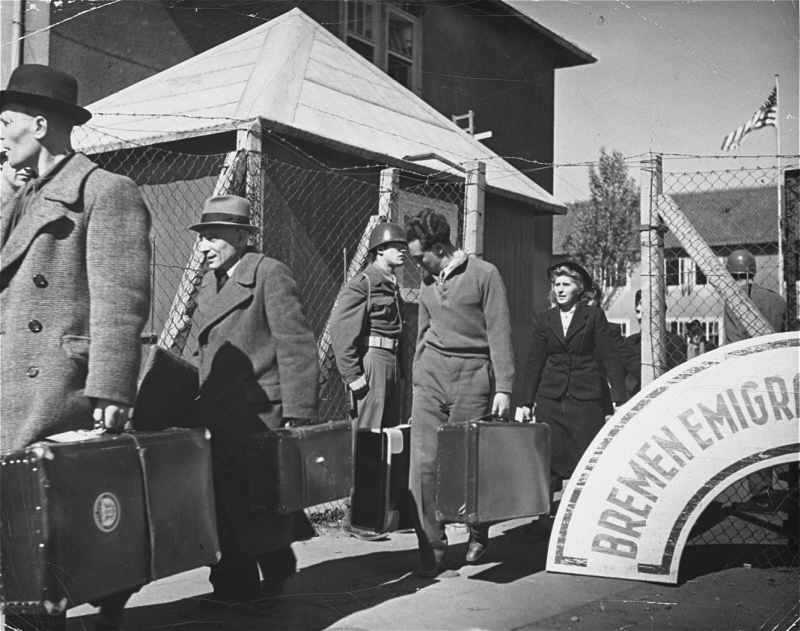 From 1945 to 1952, more than 250,000 Jewish displaced persons (DPs) lived in camps and urban centers in Germany, Austria, and Italy. Bereft of home and family and reluctant to return to their prewar homelands, most sought to begin a new life outside Europe. Palestine was the most favored destination of Jewish Holocaust survivors, followed by the United States. Immigration restrictions were still in effect in the United States after the war, and legislation to expedite the admission of Jewish DPs was slow in coming. President Harry S Truman favored a liberal immigration policy toward DPs. Faced with congressional inaction, he issued an executive order, the "Truman Directive," on December 22, 1945. The directive required that existing immigration quotas be designated for displaced persons. While overall immigration into the United States did not increase, more DPs were admitted than before. About 22,950 DPs, of whom two-thirds were Jewish, entered the United States between December 22, 1945, and 1947 under provisions of the Truman Directive. Congressional action was needed before existing immigration quotas could be increased. Not until 1948, following intense lobbying by the American Jewish community, did Congress pass legislation to admit 400,000 DPs to the United States. Nearly 80,000 of these, or about 20 percent, were Jewish DPs. By 1952, 137,450 Jewish refugees (including close to 100,000 DPs) had settled in the United States. December 22 - 29, 1945 News articles about President Truman's directive on displaced persons. December 23, 1945 - December 31, 1946 Editorials, opinion pieces, letters to the editor, and political cartoons responding to President Truman's directive on displaced persons and the immigration of displaced persons to the United States. Breitman, Richard, and Alan Kraut. American Refugee Policy and European Jewry, 1933–1945. Bloomington: Indiana University Press, 1987. Wyman, David S. The Abandonment of the Jews: America and the Holocaust, 1941–1945. New York: The New Press, 1998.